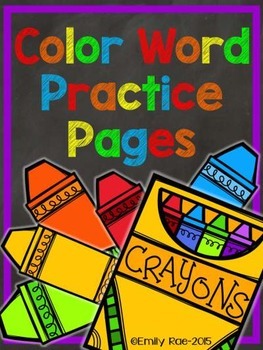 Do you teach color words in your classroom? Then these practice sheets would be perfect for you! I teach color words at the beginning of each school year. I focus on one color a week for the first few months of school. 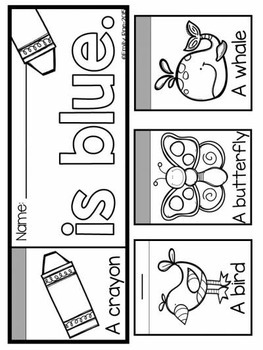 In years past I have struggled finding practice sheets for teaching these color words, which is why I designed this pack! 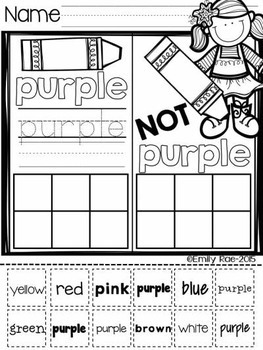 There are a variety of skills included on the practice pages, such as cutting, reading, sorting, classifying, and spelling. Also included are flip books for every color!